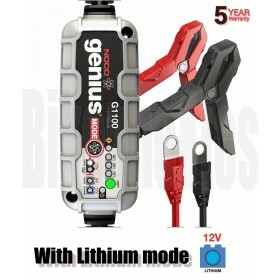 The latest generation batteries recognizable by the red cover. 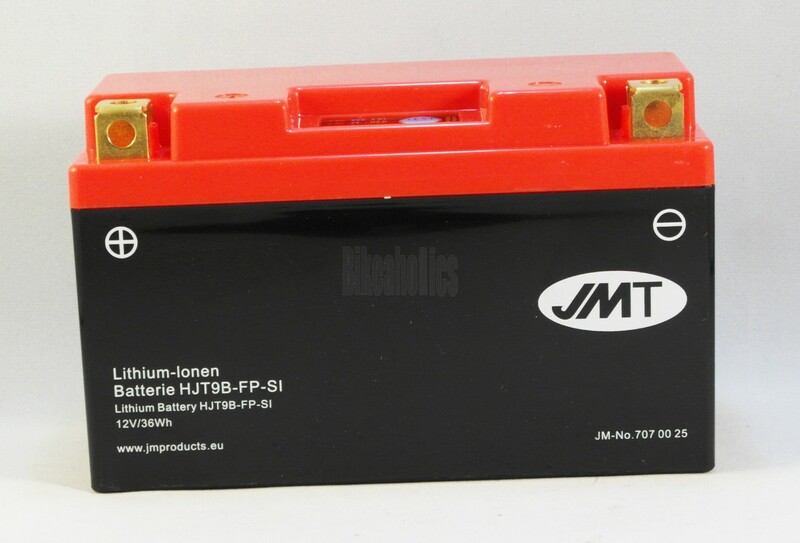 Battery is equipped with one or more spacers which are taped with adhesive tape under the battery so that the battery fits exactly into the battery box. 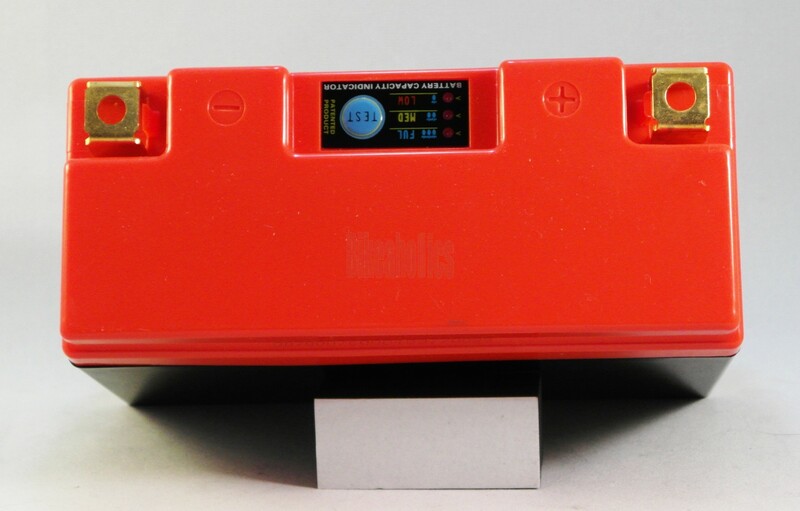 All batteries are equipped with a battery state - equipped Indicator. Simply press the test button. Lights every 3 blue LEDs on the battery fully (ful) is loaded. Lights only 2 LEDs, it is charged only half (med). At the latest when only one LED lights (low), the battery must be charged. 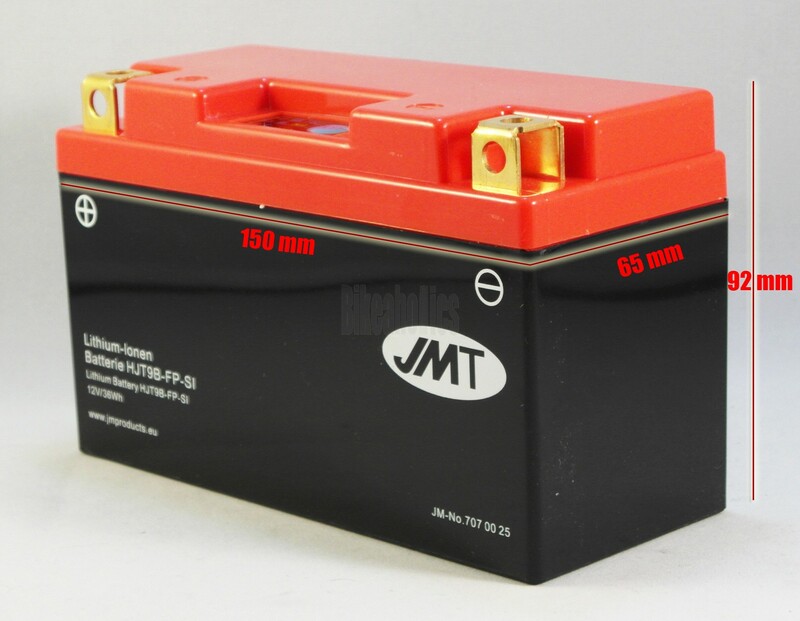 By replacing a standard lead-acid battery with a lithium-ion battery JMT up to 5 kg in weight can be saved, without any appreciable effort. 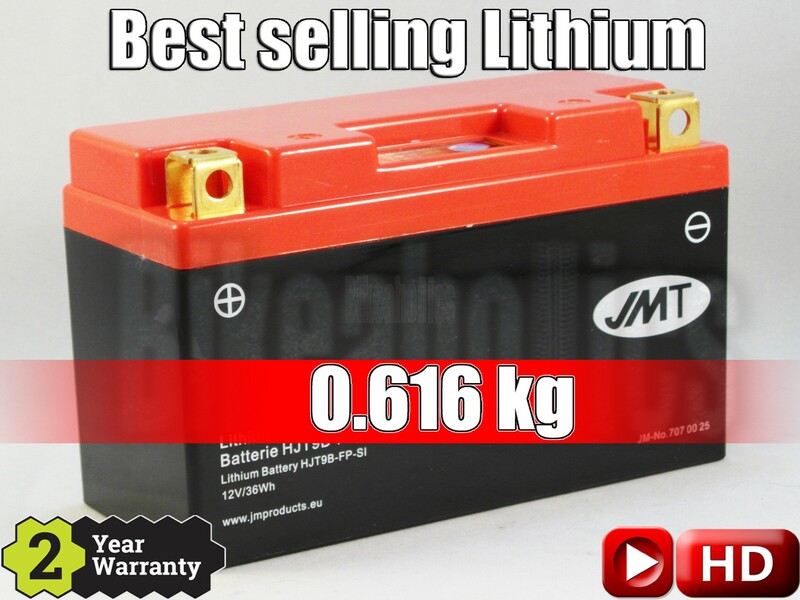 while nearly 100% of the capacity can be used in lithium ion batteries. 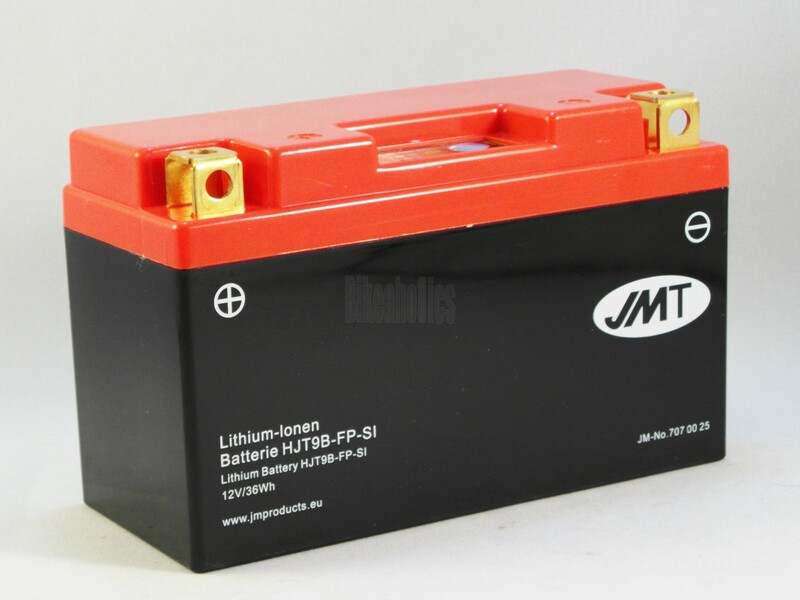 For this reason, lithium batteries JMT versions of the same for the starting power need only 1/3 of the capacity of a comparable lead-acid battery. A steady state of charge of all the cells is also ensured by a built-in processor ("balancer"). 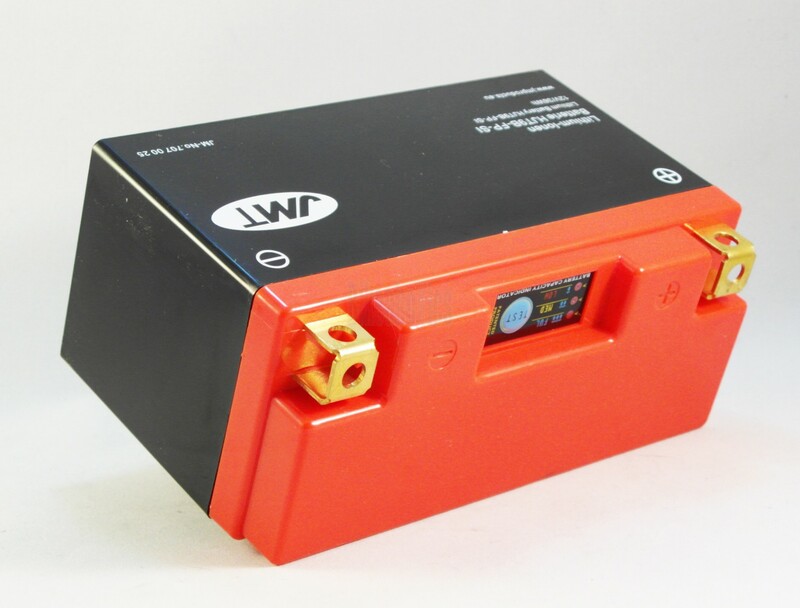 The dimensions of the lithium-ion batteries by using adapters correspond to the dimensions of the original lead-acid batteries. 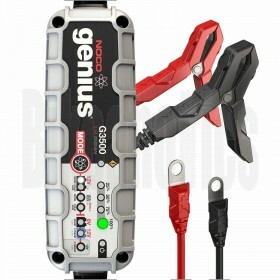 Even the connections are identical, so the battery can be replaced without additional adjustments in a few minutes. Please note that the shop only suitable chargers may be used. 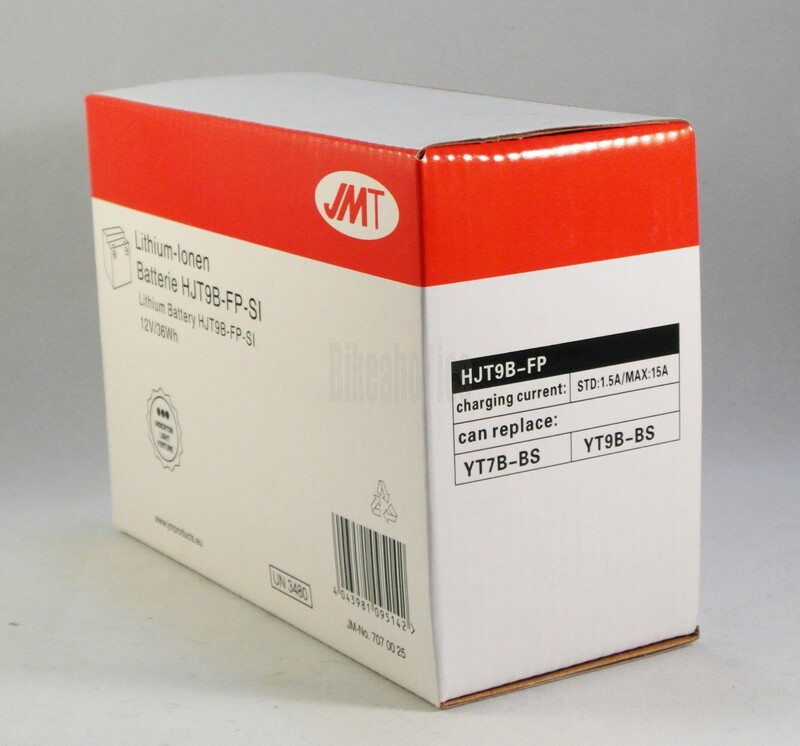 We recommend JMP chargers. 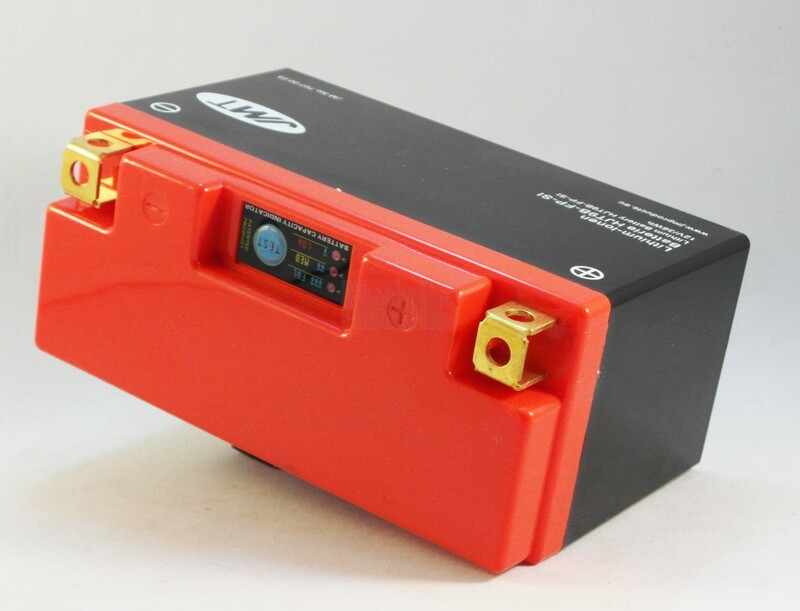 Under no circumstances chargers may be used that attempt to desulfate deeply discharged batteries under 10 volts with a voltage of more than 14.9 volts, before they begin the actual charge. 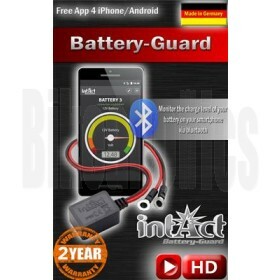 The maximum charging voltage of 14.9 volts may be exceeded under any circumstances. Risk of explosion. The manufacturer guarantees a sufficient initial capacity of up to -5 degrees Celsius. 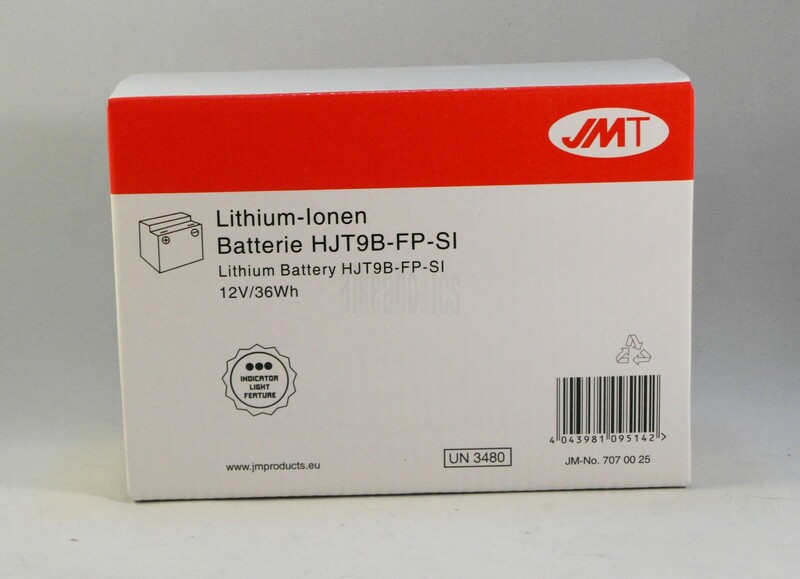 JMT use lithium-ion batteries as a cathode material iron phosphate (LiFePO4) and lithium-polymer using the method of manufacture. This allows them to rise even explode either in flames during normal operation. 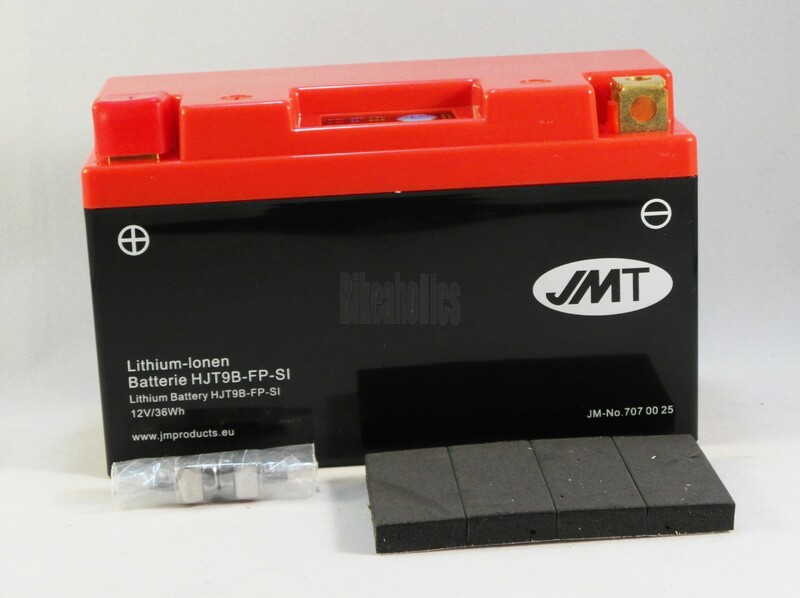 The technology and the manufacturing process ensure the highest safety standards for lithium batteries.